Any research involving chocolate cake is sure to grab the public’s attention. Now some serious chocolate cake research has found that how a person feels about chocolate cake, be it chocolate cake guilt or celebration, can predict how healthy their behaviours are and how likely they are to lose weight. With health and nutrition stories receiving top billing in both traditional and social media, a trip through the supermarket can make a person feel like they are walking through a minefield. Here’s just a sample: sugar is toxic, carbs are fattening, saturated fat is now good for you, gluten is bad for you, fat is your enemy. When you combine the serious public health problem of growing rates of obesity and its associated diseases with judgemental messages on what a person should or should not be eating, it is enough to make a person feel guilty just at the thought of eating food. Eating food is far more than about nutrients and health. It is an incredibly pleasurable and social activity that is important to cultures the world over. Being overly worried and concerned about food or nutrient X may be doing more harm than good if it magnifies an unhealthy relationship with food. So how much could an unhealthy worry with labelling a food as ‘good or bad’ be contributing to an unhealthy lifestyle overall? To answer this question, New Zealand researchers looked at how people felt about one of the more indulgent foods in our diet: chocolate cake. Could a feeling of guilt with eating chocolate cake give rise to different eating and health outcomes compared to people who looked at chocolate cake purely as a celebration food to be enjoyed? Exploring the health and eating behaviours of 294 adults who were asked about their diet, lifestyle and views on particular foods 18 months apart gave some clues. Do you have chocolate cake guilt? About 1 in 4 people associated chocolate cake with guilt. Everyone else saw it as a celebration indulgent food. Women were almost twice as likely as men to associate chocolate cake with guilt. Around half of the people expressed a desire to lose weight, with this more likely in people who associated chocolate cake with feelings of guilt. 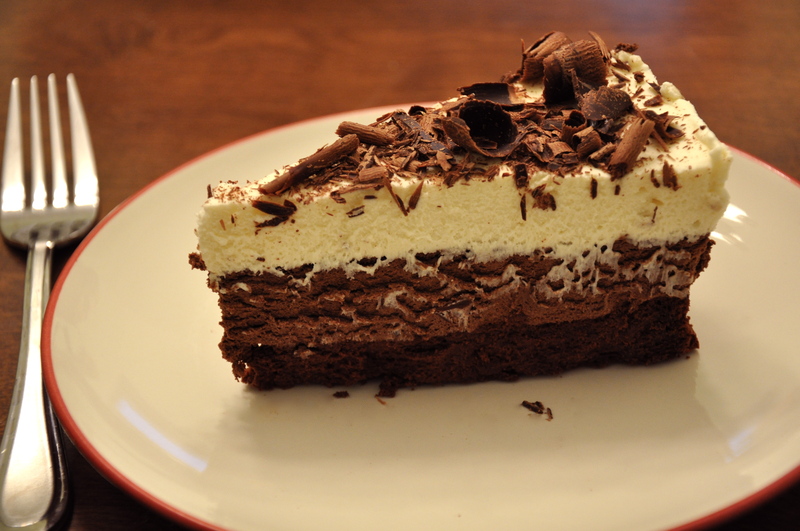 People who felt guilty about chocolate cake were also more likely to have less healthy eating behaviours and to have less perceived levels of behavioural control. This same group of people also rated their eating as unhealthy and were less confident that they would be able to eat healthier in the future. So how did everyone fare 18 months later? Feeling guilty about eating chocolate cake was related to an increase in weight of 2.4 kilograms compared to just 0.4 kilograms in people who thought of chocolate cake as celebration food. People who said they had a short-term 3 month weight loss goal were less likely to achieve it if they associated chocolate cake with guilt. In this research study, it is hard to know how much unhealthy eating causes food guilt and vice versa. It is likely that they are both related and can feed back on each other. Trying to avoid a forbidden food can increase the desire for it, and when the limited resource of willpower is used up, the person can then feel a loss of control and guilt from succumbing to the temptation. A person with a healthy relationship to all food can have a more positive outlook and have higher levels of self-control when they aren’t trying to deny themselves all the time. Feeling guilty about food doesn’t always led to positive behaviour changes. This has important implications for how food and health messages are portrayed in public health campaigns, the media and even through people with high social media influence. Focusing on the positive side of eating well, better food choices and the pure enjoyment of eating should be the way of the future. Highlights how important it is as a dietitian to avoid being ‘the food police’ and instead help people develop a healthy relationship with food that promotes a joy of eating.